This paper examines the reaction of general practitioners (GPs) to a reform in 2004 in the remuneration system for using laboratory services in general practice. The purpose of this paper is to study whether income motivation exists regarding the use of laboratory services in general practice, and if so, the degree of income motivation among general practitioners (GPs) in Norway. We argue that the degree of income motivation is stronger when the physicians are uncertain about the utility of the laboratory service in question. We have panel data from actual physician–patient encounters in general practices in the years 2001–2004 and use discrete choice analysis and random effects models. Estimation results show that an increase in the fees will lead to a small but significant increase in use. The reform led to minor changes in the use of laboratory analyses in GPs’ offices, and we argue that financial incentives were diluted because they were in conflict with medical recommendations and existing medical practice. The patient’s age has the most influence and the results support the hypothesis that the impact of income increases with increasing uncertainty about diagnosis and treatment. The policy implication of our results is that financial incentives alone are not an effective tool for influencing the use of laboratory services in GPs’ offices. The online version of this article (doi: 10.1007/s10198-010-0295-61) contains supplementary material, which is available to authorized users. This work was funded by the Norwegian Medical Association’s Quality Improvement Fund III, which was established by the Norwegian Government, the Norwegian Association of Local and Regional Authorities, and the Norwegian Medical Association (NMA). 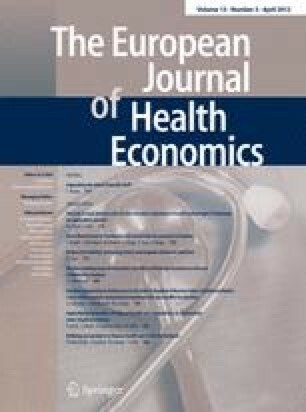 The author is grateful to Tor Iversen, the Health Economic Research Programme at the University of Oslo (HERO), and John Dagsvik, Statistics Norway for valuable guidance. Thanks also to Burkhard Hehenkamp at Universitaet Dortmund, Knut Wangen, Geir Godager and Sverre Grepperud at HERO and, finally, to Geir Thue at NOKLUS for helpful comments and suggestions regarding a previous version of this paper.